The Supreme Court on Wednesday blasted the Centre, Uttar Pradesh government and the Archaeological Survey of India for their "lethargy" in taking steps to protect the Taj Mahal in Agra. A bench of Justice Madan B. Lokur and Justice Deepak Gupta came down heavily on the three for their lack of work done for the monument’s preservation. "There is absolutely no willingness to protect the Taj Mahal. It has to be protected. Either we will shut it down or you demolish or restore it,” the bench observed. “Eighty million go to watch Eiffel Tower which looks like a TV Tower. Our Taj is more beautiful. If you had looked after it your foreign exchange problem would have been solved. Do you realise the loss caused to the country due to your apathy?” the bench said further. The apex court was angry that no concrete steps had been taken by the Union government, despite a parliamentary standing committee report on Taj's protection. It also expressed anguish over the Uttar Pradesh government's failure to come out with a vision document to preserve and protect the Taj Mahal. In its defence, the Centre told the bench that the Indian Institute of Technology, Kanpur was assessing air pollution levels in and around the mausoleum and would give its report in four months. 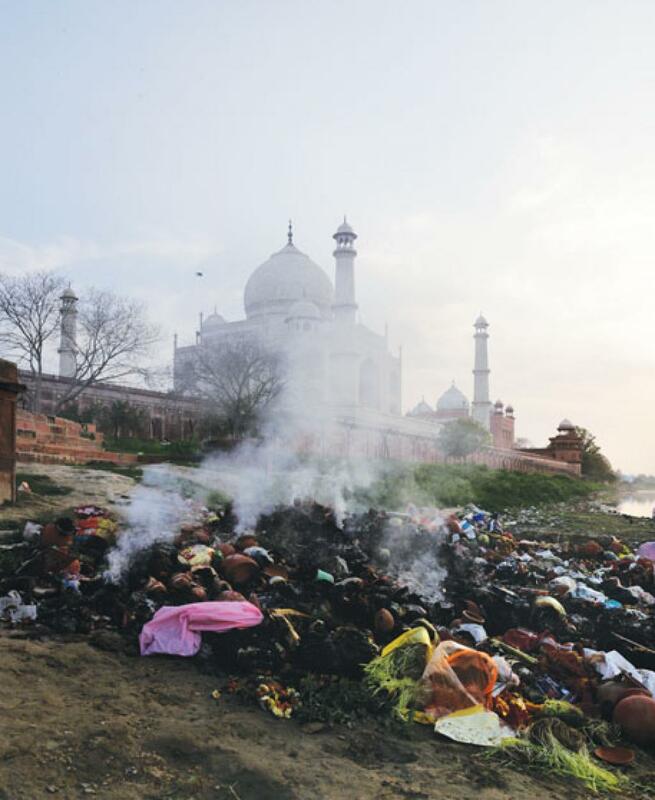 It also said a special committee had been set up to find the source of pollution in and around the Taj, which would suggest measures to prevent it. The top court ordered a slew of measures after its remarks. It directed the Centre to furnish full details of the steps taken and action required to be taken for protecting the iconic monument. The bench said it would hear the matter on a day-to-day basis from July 31. The court also sought personal appearance of the chairman of Taj Trapezium Zone (TTZ)—a 10,400 sq km area spread over the districts of Agra, Firozabad, Mathura, Hathras and Etah in Uttar Pradesh and Bharatpur in Rajasthan —to explain the violation of its orders prohibiting expansion of industrial units in the zone. The Supreme Court has been hearing a plea filed by environmentalist M C Mehta seeking protection of the Taj from the ill-effects of polluting gases and deforestation in and around the area. Agra lies in an industrial belt, and the city’s air pollution levels have risen sharply over the past 30 years. An air pollution database released by the World Health Organisation in May 2018 showed that Agra ranked eighth in the list of cities with filthiest air. In May this year, the top court had expressed its concern over the historic monument being infected by insects and observed that Taj Mahal had earlier turned yellow and was now going brownish and greenish in colour. On July 9, the apex court said the monument was one of the seven wonders of the world and could be “decimated” while maintaining that people, who are not the residents of Agra, would not be allowed to enter a mosque located inside the Taj Mahal complex to offer Friday prayers. Down To Earth had done a cover story on the Taj Mahal in 2015 and enumerated all the difficulties facing the mausoleum built by Mughal emperor Shah Jahan in the memory of his wife Mumtaz Mahal in 1631. The Taj is a UNESCO World Heritage Site.